We have recently completed the installation of new Ampetronic TalkPerfect and induction loop systems for the House of Commons tours ticket office in Portcullis House. Working closely with Ampetronic, four custom loops were installed above the ticket office windows. Talk perfect systems were installed at each desk position to provide greatly improved communication across the security windows for all visitors. Our brief was to provide a sound system with improved speech intelligibility and full range music replay capability. The older induction loop system though operational, only covered around a third of the chapel so it was important in the new design to cover the whole of the Nave. An Ampetronic ILD1000G induction loop driver was installed along with a new perimeter loop covering all of the nave for hearing aid users. Working within the constraints of a Grade 1 listed building was a challenge to find a loudspeaker system that was both effective and discreet. We chose to use 20 x custom RAL coloured K-array KV52's along the length of the Nave with a further 8 x KU44 sub bass loudspeakers installed underneath the rear row of pews. These were powered via a Powersoft Quattrocanalli 4-channel amplifier with DSP processing. The control system was based around a Yamaha TF rack mixer and a Windows 10 tablet running Yamaha Provisonnaire Control software. We had previously upgraded the microphone system with Audio Technica ES935ML6 slimline gooseneck models for the principal reading locations around the Chapel, namely the Altar, Headmaster, Deputy Head and lectern. Two Sennheiser radio microphones were provided for the main celebrant along with an aerial distribution system installed at high level behind the organ canopy. Scanaudio have developed an audio monitoring system specifically tailored to the needs of professional carers working with persons with epilepsy and other related conditions where a clear indication of the onset of a seizure can be identified and appropriate actions swiftly taken. We have supplied, installed and maintaining epilepsy seizure monitor systems for Young Epilepsy since 2000. To date we have over 140 monitored rooms on site. The system is designed around an audio digital signal processor (DSP) which is custom programmed and linked to a series of microphone installed in each client’s room. The DSP is linked to a Windows PC, monitor and a small powered loudspeaker. A custom user control panel is provided to allow staff to rapidly assess a child’s condition via an easy to use on interface. This shows the audio activity picked up by the room microphone on a sensitive meter whilst listening to the audio via a local powered loudspeaker. Simple mouse clickable controls are used to adjust microphone volume, on/off status and which rooms are monitored. A solo function enables the operator to instantly switch from monitoring a group of rooms to listening to a single room. This feature immediately removes any distracting background noise from other rooms allowing staff to rapidly assess the client’s condition and respond accordingly. The system is fully networkable and scalable from six rooms to several hundred rooms if required. An existing CAT5e network between buildings can be employed to relay audio and control commands around a distributed site allowing monitoring to be carried out in multiple locations if required. The DSP can be interfaced with external devices such as PIR detectors, which are sometimes used to monitor if a person has left their room. Although the system is primarily designed as a listen in system, the DSP can be programmed to provide full intercom facilities as well. Scanaudio have maintained and updated the Cloud Electronics zoned PA system at the Laura Trott Leisure system for several years including the interfacing of the stand-alone music system in the various studios with the building fire alarm system. Scanaudio were approached to help design and install a low spill induction loop system to cover the main 1,500 seat auditorium space. Working closely with theatre consultant Roger Spence, the project was carried out over two summers as part of a major refurbishment project. This entailed the removal of all the seating and carpet to facilitate the installation of the copper tape arrays along the step edges. Ampetronic multiloop amplifiers were installed in the gantry area above the second circle with feeder cables run using Van Damme 4 x 2.5mm cable. Final commissioning was carried out in with Ampetronic Ltd. The system provided extensive standard compliant loop coverage around the three tiers of seating. We also installed a low spill loop system for the retractable bleacher seating in the Lilian Baylis Studio to replace a poorly working perimeter loop system. We were approached by Surrey & Sussex NHS Trust to update the patient entertainment facilities within this large Surrey hospital. Following close consultation with the estates management team and senior nursing staff we have installed more than 100 LG TV’s throughout the hospital. Induction loop systems have been installed at many of the hospital clinic reception desks to assist hard of hearing patients during their time in hospital. Eton College chapel is a fine example of the Perpendicular Gothic style built by Henry VI. 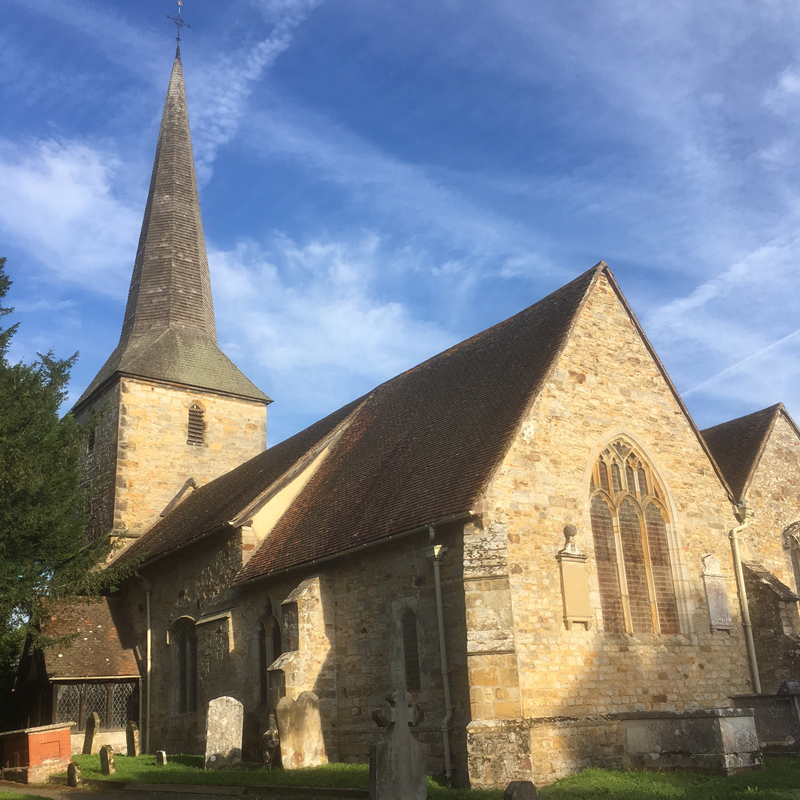 This fine Grade 1 listed building is noble in its unity and simplicity of design, but only a part of what might have been one of the largest and finest churches in the country if Henry’s plans had been fully executed. Scanaudio were originally approached by the Buildings Department to assess if improvements could be made to the existing system, which at the time of our first involvement was around nine years old. Following a series of meetings and subsequent partial upgrades, the College appointed Scanaudio to design and install a fully updated sound reinforcement system to accommodate the needs of this busy chapel. Great importance was placed on finding a technical solution which would both provide good sound coverage throughout this large building whilst remaining sympathetic to the fine interior. One of many challenges was to install loudspeakers against the wall paintings. They are the work of at least four master painters who, with their assistants, took eight years to complete them in the Flemish style between (1479–87). Miniature KV50 line array loudspeakers from the Italian manufacture K-Array were installed on top of discreet bronze columns and color matched to blend with the background colours of the wall paintings. Further K-Array KV50’s were installed along the North and Side walls of the chapel with additional KK50’s for the Ante Chapel and 3 x KKS50 sub bass speakers for full range music reproduction. The control system was based around the Yamaha DME series digital audio processors controlled from MIDI controllers in the chapel. Audio Technica ES935ML miniature gooseneck microphones were installed at fixed position around the chapel including the altar, lectern, pulpit, conduct, headmaster, lower master, Provost and Vice Provost stalls. These were supplemented with Sennheiser radio microphones and fixed DPA microphones at the medieval reading lectern. Playback equipment includes solid state and CD equipment from Tascam. Amplification was supplied from K-Array and Cloud Electronic with the induction loop system powered by an existing Ampetronic ILD9. We have installed several induction loop systems throughout Woking Borough Council community buildings including the Vyne, Moorcroft, St Mary’s and HG Wells Centres using Ampetronic equipment. The infrared audio system in the main Council Chamber was also recently updated to the latest Sennheiser equipment with new neck loop receivers integrated with the existing Council Chamber sound reinforcement system.